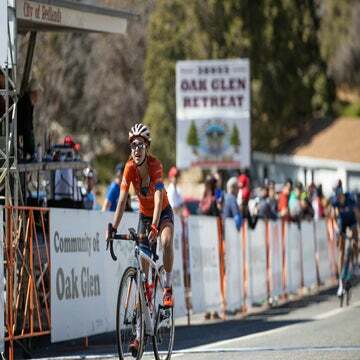 Axeon's successful development program continues to grow, adds Hagens Berman as a title sponsor for 2016 season. One of the world’s leading development programs, Axeon Cycling Team, run by Axel Merckx, son of cycling legend Eddy Merckx, will expand its program next year with the addition of multiple sponsors. The team will be known as Axeon Hagens Berman for the 2016 season. “This is a major step forward for us and a groundbreaking one when it comes to our development of young riders,” Axel Merckx said. “The past six seasons, we have sent 18 riders to the WorldTour. The Seattle-based law firm Hagens Berman will join current sponsors Neon Adventures, SRAM, and the American Proficiency Institute. 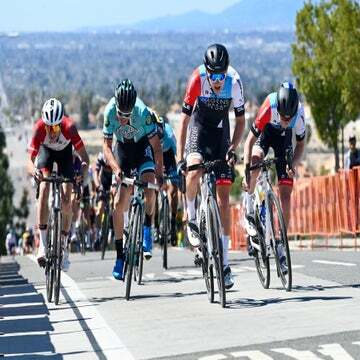 “This is a natural move for Hagens Berman in our support for promising young talent in their rise to compete at the highest levels of cycling and forge the skills to succeed both on and off the bike,” Steve Berman, managing partner of Hagens Berman, said. Hagens Berman’s sponsorship of the Axeon Cycling Team brings into question the future of the team currently sponsored by the law firm, Jamis-Hagens Berman. It is unknown at this time whether the law firm will still partner with Jamis in 2016. For the last six years, Merckx’s development team has performed brilliantly, scoring victories and podiums in prestigious one-day races such as the under-23 versions of Paris-Roubaix and Liège-Bastogne-Liège. Notable graduates of Merckx’s program who now race in the WorldTour include Taylor Phinney (BMC), Joe Dombrowski (Cannondale-Garmin) — who recently won the Tour of Utah — and Lawson Craddock (Giant-Alpecin). 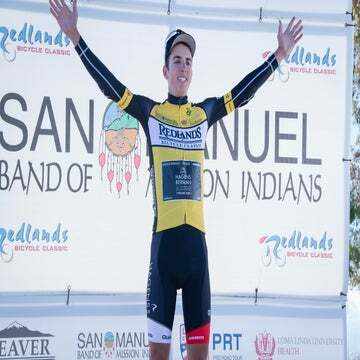 The team stood out at August’s Larry H. Miller Tour of Utah, scoring a stage win with Logan Owen and claiming the king of the mountains classification with Gregory Daniel. Merckx’s development team is also bringing on four additional sponsors: Specialized, California Giant Berry Farms, and Velofix, North America’s largest fleet of franchised mobile bike shops. The team will continue to be registered in the U.S. for next season and will be mostly comprised of American riders.